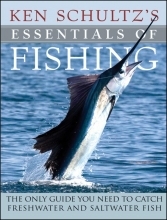 A fishing expert and former editor of Field and Stream provides detailed entries on all aspects of both freshwater and saltwater fishing--including fish species information and identification, equipment and techniques--in a guide with over 500 color photos and illustrations. 8. Natural Bait, Hooks, and Terminal Tackle. 12. Putting Line on a Reel. 18. Playing and Landing Fish. 19. Measuring and Weighing Fish. 20. Caring for and Storing the Catch. 21. Cleaning and Dressing Fish. 29. Inshore Fishing from Boats. 30. Coastal Pier, Bridge, and Dock Fishing.